Please don’t skip this because of the cover art shown above. I know it’s probably the worst album cover you’ve seen recently – or, ever! –, but the music it forbids is worth your time, I swear! Honestly, I debated whether or not I should include the “artwork” in this review… But out of respect for Panu-Pekka Rauhala‘s artistic choices, I decided to keep it, at the cost of this very warning. Ugh, it’s such an ugly cover for such a good album… It could win many art anti-awards, of that I’m sure! Well… enough about the optical abhorrence, let’s talk about the music! 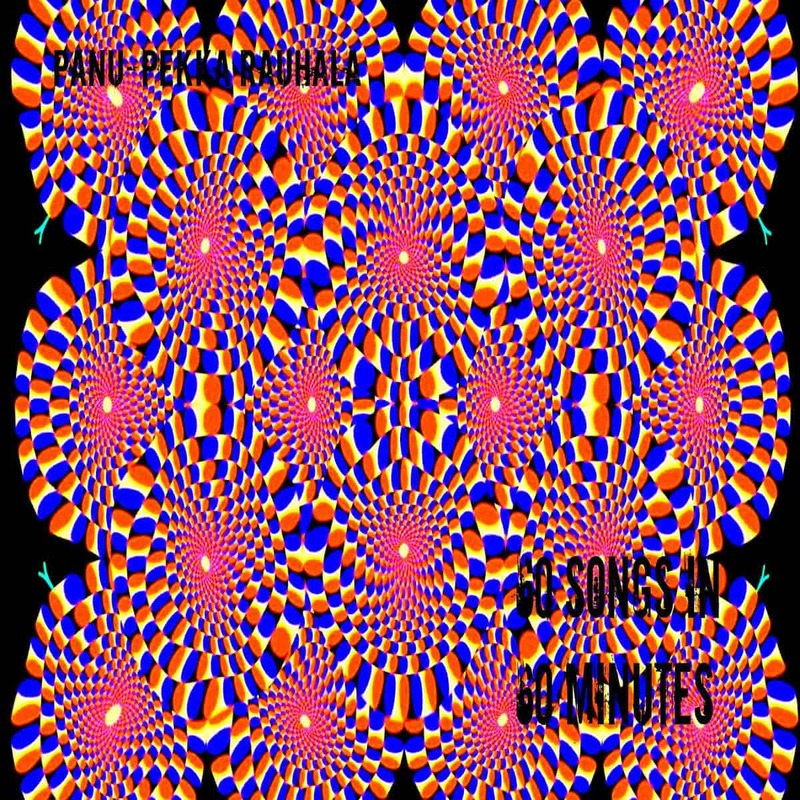 60 Songs in 60 Minutes is a rather self-explanatory concept: the goal is to write and play sixty songs, for a total of one hour of material. It’s a simple concept but it has not often been done, and ever less so successfully! Fortunately, Helsinki’s Panu-Pekka orchestra provides us with some high-level music from all around the board. The project is mainly rooted in contemporary classical music and jazz, but also swerves a bit to ambient and film music. This gives the album a pretty diverse yet cohesive sound that’s at the same time quite broad, lush, and deep. On top of that, the album has been played and recorded live, with audience! Some of the reasons I often skip live albums are the sound quality and the sound of the crowd. In here, however, I have nothing to complain about! The crowd was well behaved and quiet – or rather small –, and I only heard it at the very end of the final track (this is what the extra three seconds on the whole sixty minutes is for). Before then, it didn’t even cross my mind that this could be a live album! That says a lot on the quality of the record! In conclusion, 60 Songs in 60 Minutes is a fun ride! It feels like a soundtrack to an imaginary movie, and it is well balanced between jazz, classical music, ambient passages, and very evocative “film score” moments. Many parts are quite slow and uneventful, but that’s not to say they are bad, because they are essential in glueing all the pieces together, and they create all those seamless bridges that lead us from 0 to 60. This is a recommended listen!